Many wealthy Romans found the landscape and soil surrounding Mount Vesuvius remarkable. Pompeii, a lively city within the Roman Empire, lay southeast of Vesuvius and was fairly densely populated. Somewhere around the neighborhood of twelve thousand people took up residence in the plentiful city. Although they knew that Mount Vesuvius was a volcano and not a mountain, they “thought it was extinct” (Moser & Gilman, p. 9). 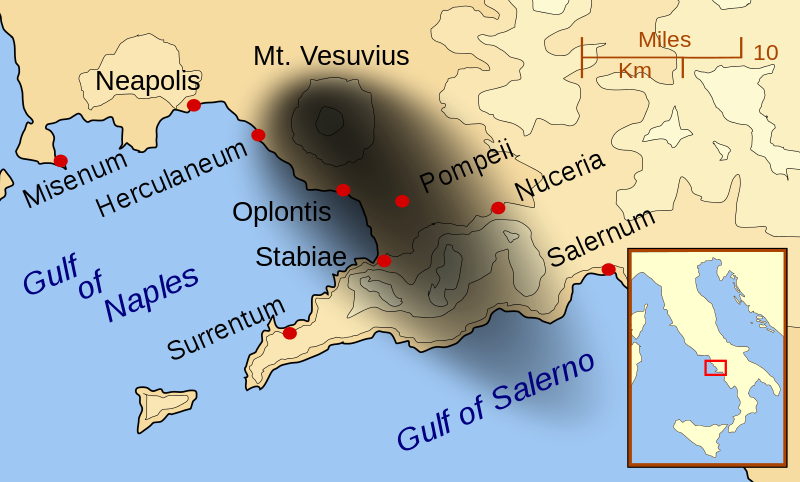 However, around midday on August 24th in AD 79, the volcano erupted. A column of debris, ash and smoke plumed upward and “reach[ed] a height of some 30 kilometers, making it visible for many miles around” (Moser & Gilman, p. 9). This stage of ash and debris was later called the Plinian Stage. “Ash and various sizes of rocks and pumice stones were ejected along with hot gases and water vapor at a rate of 1,200 kilometers an hour…” (Moser & Gilman, p. 9). Pompeii was found in the eighteenth century. A man by the name of Alcubierre found remains of a temple which he believed to be “the remains of Stabiae. It was not until 1763 that the excavators found inscriptions proving that these ruins belonged to the most famous of Vesuvius’ victims- Pompeii” (Stiebing, p. 150). Finding very minimal artifacts, Alcubierre and his group of men grew discouraged and returned to Herculaneum. However, he would not have done this if he would have known that the villas he had excavated lay on the far outskirts of the city. 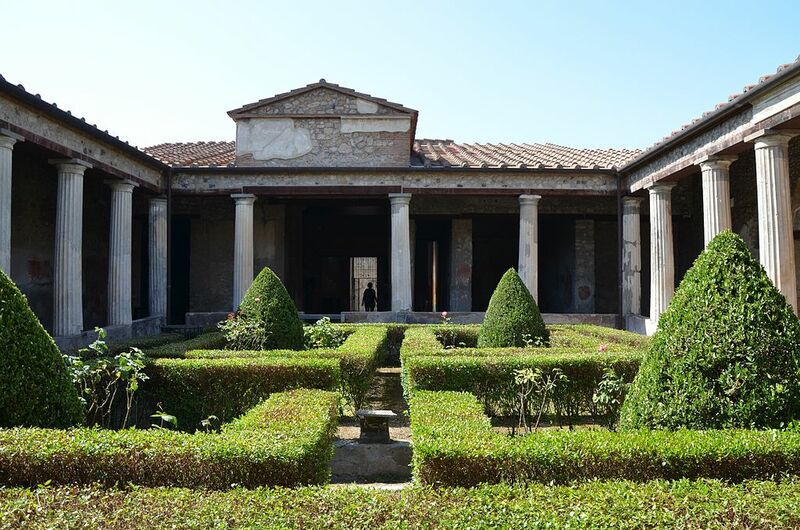 He teamed up with a Swiss architect named Karl Weber who ended up finding a vast villa at the site of Herculaneum as well as many sculptures, paintings, and interesting ruins. This place was found because “in 1750 a peasant brought word that another well had uncovered an ancient pavement near the Augustinian Monastery” (Stiebing, p. 150). Inside what must have been a study, charcoal briquettes or logs were found. Most of these, once they were opened, were more philosophical works such as works of Philodemus and treatises by Epicurus. When Torre Annunziata (Pompeii) was finally understood to be the ancient city in 1763, all focus zoned in on the site. After all of the valuables had been taken, the uncovered portion was refilled with soil. 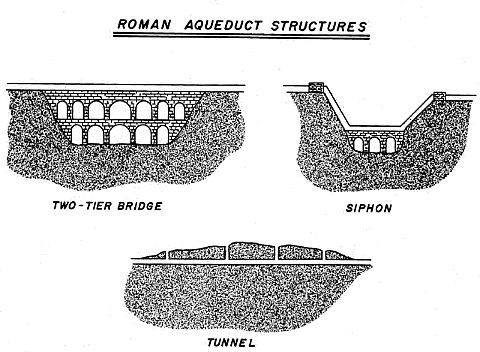 In 1860 Giuseppe Fiorelli was “appointed to be the director of excavations for Pompeii” and decided that the portions of the city that had been previously excavated and then refilled should be uncovered. From 1860 to today, excavations have focused on the streets of Pompeii and entering houses through the street level (Stiebing, p. 160). By digging this way, the city is getting fully uncovered one street block at a time. 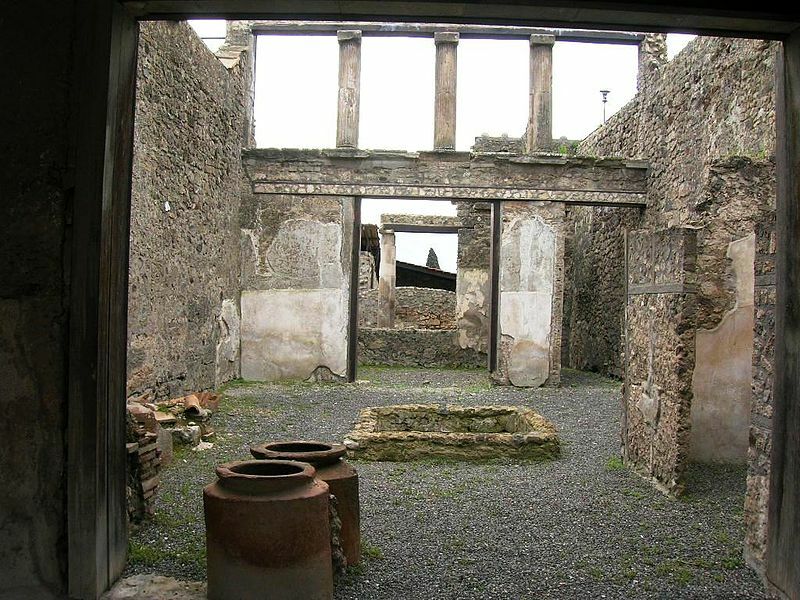 These houses that were uncovered have been huge eye-openers towards the daily life of Pompeii’s ancient citizens. Whole villas have been uncovered and have shown how life worked back in 79 AD. I have heard that this eruption caught people so unawares what there is still food on the tables. This is great for us because we can know exactly what kind of food was consumed without having to make an educated guess based on plant or food residues. Each room that is excavated uncovers more of ancient life. Before walking inside a villa’s street level doors, the first thing you would see was the shops. These “tabernas” were sometimes on the fascade of the homes. “Around eight hundred tabernae have been identified in the excavated area of Pompeii…” (Holleran, p. 112). Holleran also talks about how there were four different categories of shops- one being that the tabernae was “found in the front of atrium houses” (Holleran, 2012). The atrum is the first room you would see when you enter a villa’s doors. This place was mainly a “show-piece for visitors” (Foss & Dobbins, 2009) while a secondary atrium was probably used for more private meetings or family gatherings. “The atrium was normally covered by a roof which sloped inwards. The rain water ran down towards the centre…” (Connolly, 1990) where there was a hole to drip into a pool. 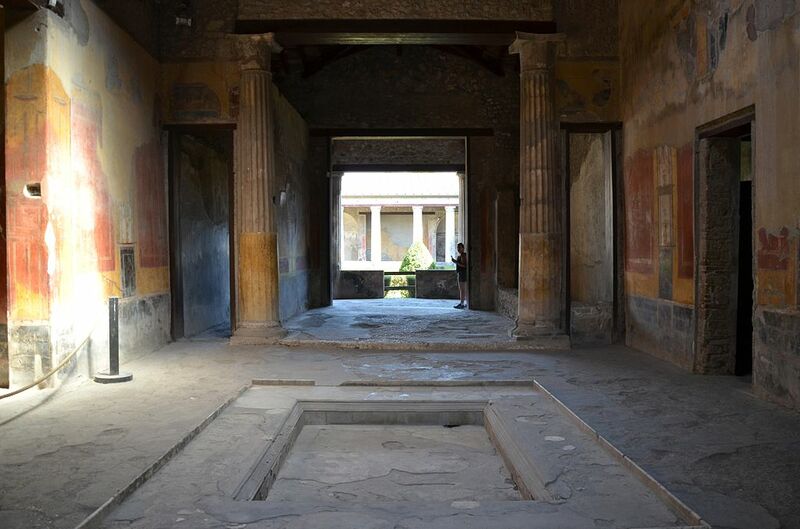 This small pool was called the impluvium and is shown in the center of the atrium in the picture above. The atrium was surrounded by other rooms and was the center of receiving guests. Many people began to call on the wealthier people early in the morning. At six, they would all be ushered into the atrium and wait as each was called to be received by the master of the villa inside the tablinium. This small room “was at the back of the atrium… often completely open at the front divided from the atrium only by curtains or wooden screens” (Connolly, p. 34). Many times, if the room had wooden screens, there would still be big openings such as windows which opened up to the gardens on the other side. The triclinium was another important room. 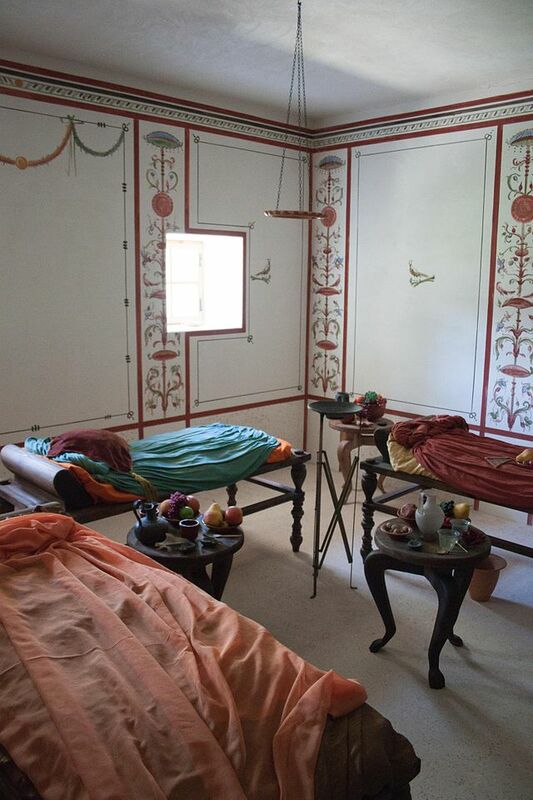 Otherwise known as the dining room, the triclinium was very different from what we associate to be a dining room. “Romans reclined on couches leaning on their left elbows and eating with their right hands. 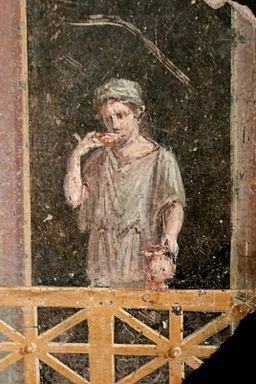 The arrangements of a Roman dining room was very formal. It consisted of three large sloping couches covered with cushions…” (Connolly, p. 38). It was these three couches that surrounded a table of food. Most times these dining rooms were used during the winter. During summer seasons, the Roman people would “dine in the garden or in a room opening onto the garden” (Connolly, p. 38). The Cucina rarely had more than a sink and a brick oven. Many pots have been found in the remains of Pompeii. This gives fascinating insight on the types of cookware Roman citizens had during that time period. One kitchen that was excavated showed that “Lunch was being prepared for the staff when the eruption came. The cook fled leaving a pot still on the boil. 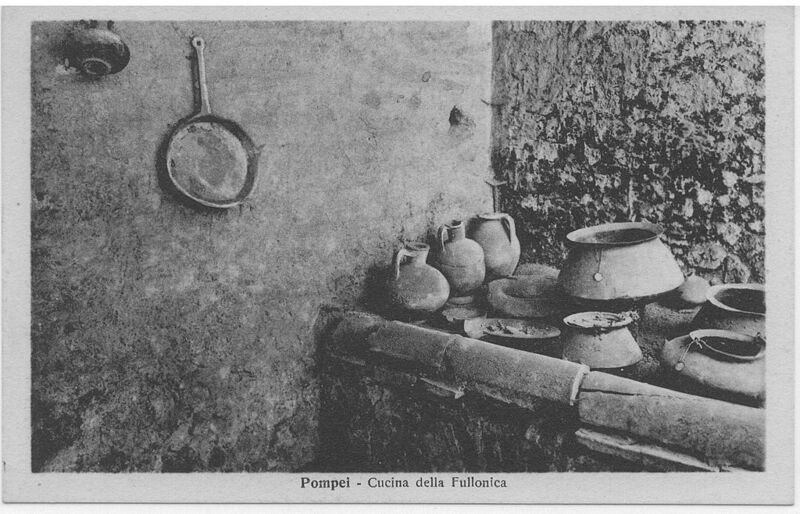 Other cooking utensils were found hanging on the wall or resting on the side of the oven ready to use… at [another] house in Herculaneum bread, salad, eggs, cake, and fruit were found on the table preserved by the sea of mud that engulfed the town” (Connolly, p. 36 & 38). Another place where food could be found was outside in a thermopolium. 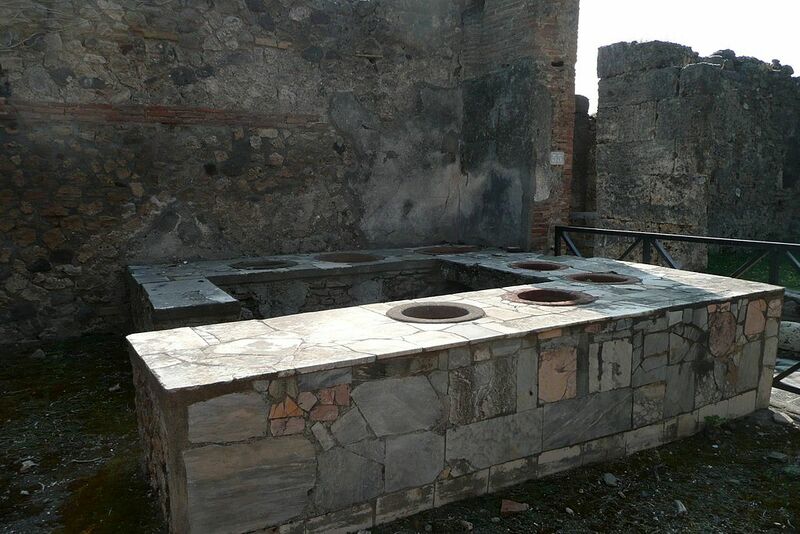 This place was the “fast-food joint” of Pompeii. “The embedded vessels had hot or cold food. Many street corners had these, sort of like McDonald’s, and just as in big cities today, many people bought a lot of their meals there. A lot of homes didn’t even have kitchens” (Description of the thermopolim picture on Wikimedia Commons). Connolly, P. (1990). Pompeii. Oxford: Oxford University Press. Foss, P., & Dobbins, J. J. (2009). The World of Pompeii. Routledge. Holleran, C. (2012). 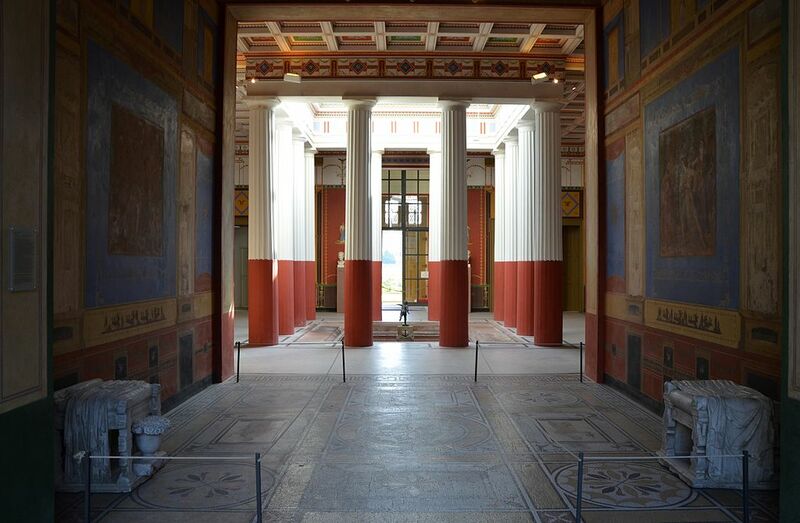 Shopping in Ancient Rome: The Retail Trade in the Late Republic and the Principate. Oxford: Oxford University Press. Jashemski, W. F., & Meyer, F. G. (2002). The Natural History of Pompeii. Cambridge University Press. Moser, B., & Gilman, B. (2007). 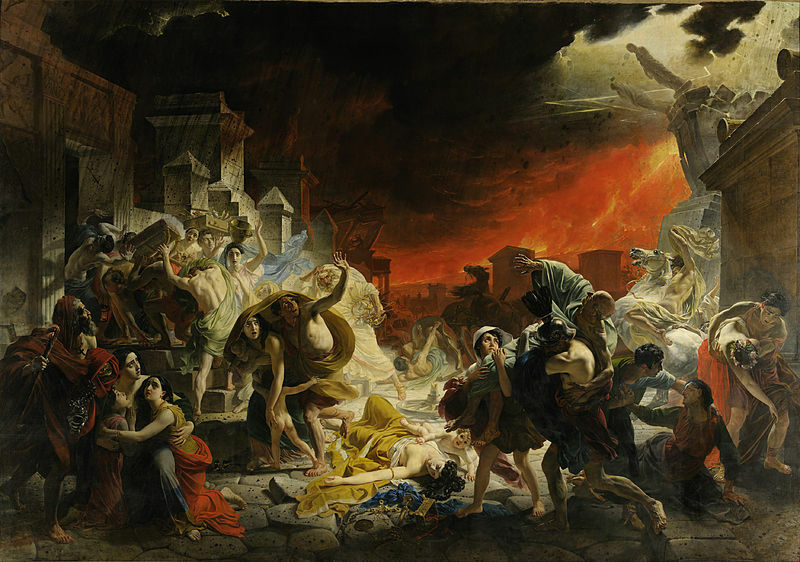 Ashen Sky: The Letters of Pliny the Younger on the Eruption of Vesuvius. Getty Publications. Stiebing, W. H. (1993). Uncovering the Past: A History of Archaeology. Oxford: Oxford University Press. Alexander overthrew Darius III as king of Persia in 333 BC and, therefore, became king of Persia. Dominating almost every country in the known world, Alexander the Great lived up to his name and was the ultimate king- the conqueror of the time. People lived their lives while he acquired country after country. Power struggles and class systems always seem to begin when a civilization starts to establish itself. It was already apparent when Alexander took the throne but was an important part of the people and society. Usually the establishment of a new group of people involves the break off from one civilization, resulting in the creation of another. “He had planned to create a ruling class by intermarriage of Macedonian and Persian nobles. He himself married foreign, Roxanne of Bacteria and later a Persian princess” (Marx). This respect was shown because they came from wealthy families and would be the ones to produce the next heir to the throne. Struggle for power occurred regularly between the queen, the king’s mother, and even his advisors. The king, aristocracy, and religious priests made up the upper class. Most of the aristocracy within the upper class was in command of the army as generals or in the cavalry. Their preferred interests were “fighting, hunting, and heavy drinking. The king could only gain respect from the nobility if he was an expert in all these activities” (Skelton & Dell, p. 80). Alexander loved to hunt and ended up heading a huge army with an enormous camp of followers trailing behind him. 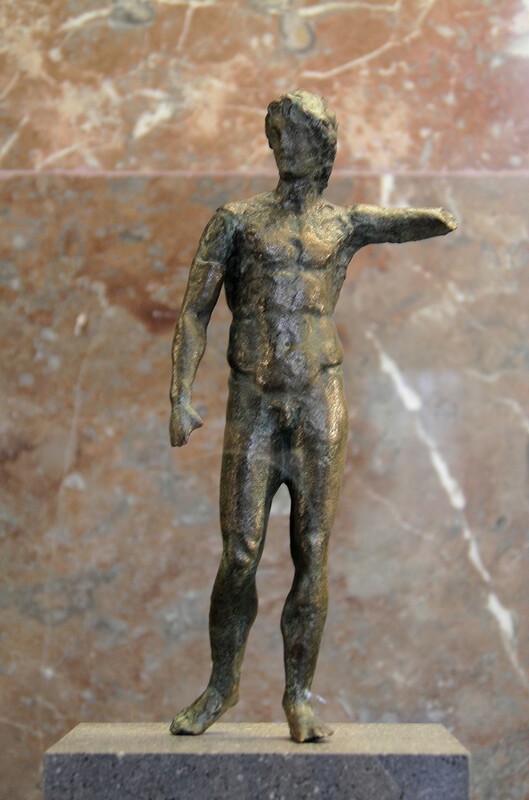 Although the spear is long gone, this statue shows the “conqueror” part in Alexander’s title. He was a true Macedonian and king of Persia. His love for fighting proved correct when he led his men into India and other countries ultimately conquering what was seen as the “world”. The lower class lived very different lives from upper society. Most of these people were workers or laborers. “Freemen got paid and could choose where they worked. Bondsmen were serfs and slaves, and had little or no choice about where and for whom they worked” (Skelton & Dell, p. 80). There was somewhat of a middle class also. “Hoplites are most often associated with Greek city-states and by-and-large represent these communities’ middle class. Typically these heavy infantrymen were to supply their own equipment, the round, three-foot in diameter shield, the seven-to-eight-foot stabbing spear, grieves, and breastplate, since the cities themselves were seldom wealthy enough to do so” (Anson 18). It seems that a lot of this middle class was made up of soldiers. Therefore, within the cities and society, there was a huge distinction between high and low class and somewhere in the middle were the soldiers. Anson, E. M. (2013). Alexander the Great: Themes and Issues. New York: Bloomsbury Academic. (2009). Part II: Society and Culture. In D. Skelton, & P. Dell, Empire of Alexander the Great. New York: Chelsea House. 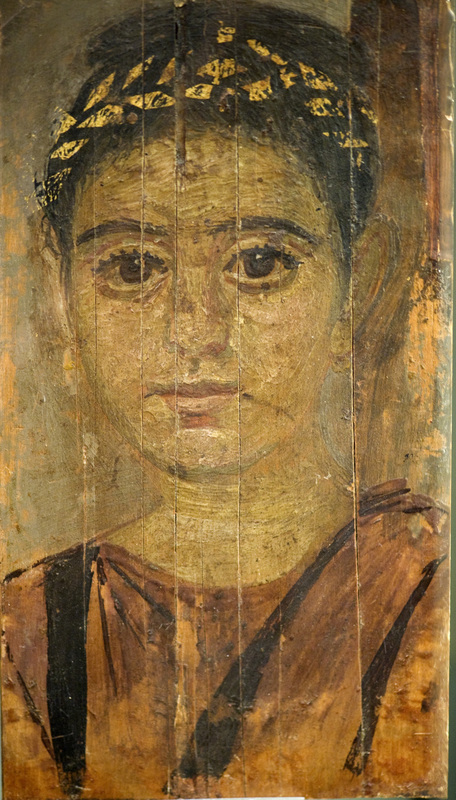 Women in ancient Rome had a unique position when compared to women of other cultures. “Unlike some other ancient cultures such as the Greeks who had formed a creation myth where woman was a creature secondary to man and, more specifically, in the form of Pandora, a bringer of unhappiness and vices, the Romans had a more neutral approach where humanity, and not specifically the male, was created by the gods from earth and water (ancient.eu).” Roman women were educated and went to school. In different ancient writings, it is suggested that girls and boys were educated together. Upper class women seemed to have been well educated but most are not remembered for their educational endeavors. In religious affairs, women could participate very little. “Of this exclusive religion of the family, the father was the high-priest…. Before the family altar women had no independent place. They took part in the ceremonies only through their fathers or husbands (Women in Early Roman Law).” They usually had marriages arranged for them and generally noble women would marry younger to ensure she was a virgin (ancient.eu). They could refuse the match, but only if they could prove their expected husband had a bad character. “For it was a lasting principle of Roman law that not only connubium (right of intermarriage), but also consent, were necessary to a valid tying of the nuptial knot. The term “consent” here included not only the woman’s consent but his also in whose power she was (Couch).” After she married, she left the legal protection of her father and she and her children came under the rule of her husband. Marriage did not require a ceremony, even though it was customary to prove they had married. Divorce was unusual but occurred usually on the grounds of adultery. “Here all that was necessary was simply an expression of a desire or commandy by the husband that the wife should no longer dwell in his house (Couch).” The woman would leave her husband’s house and take her dowry, and it was socially acceptable. 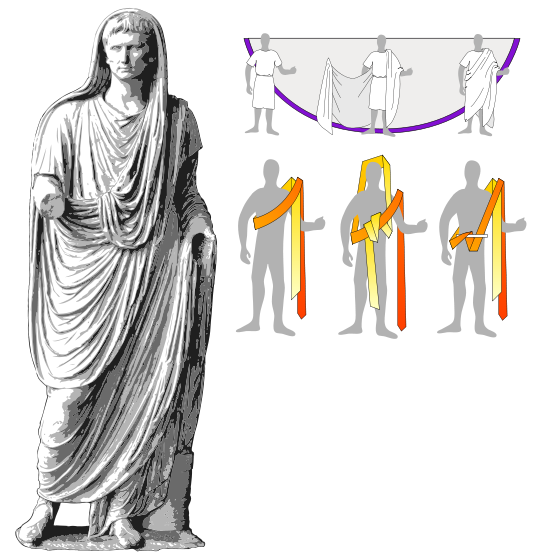 Remarriage and concubinage was also common among the Romans. 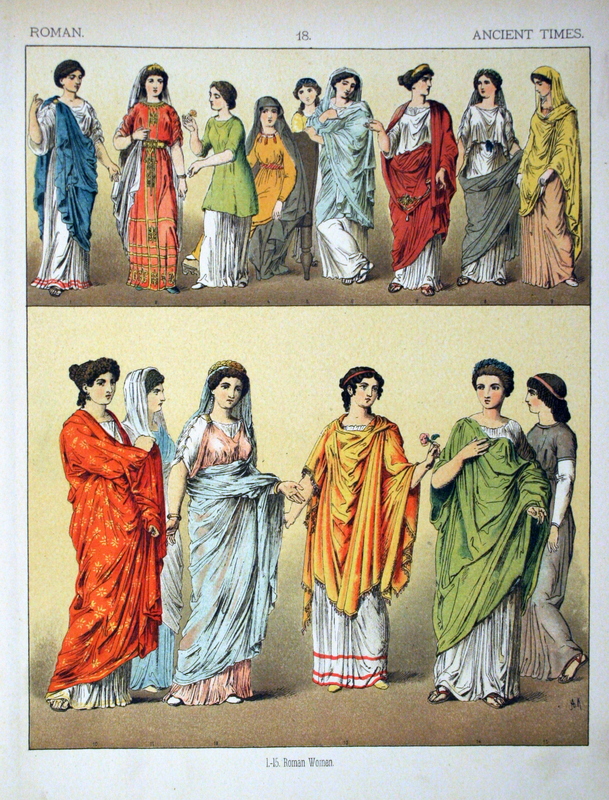 “Women in Ancient Rome – Crystalinks.” Women in Ancient Rome – Crystalinks. N.p., n.d. Web. 11 Apr. 2015. 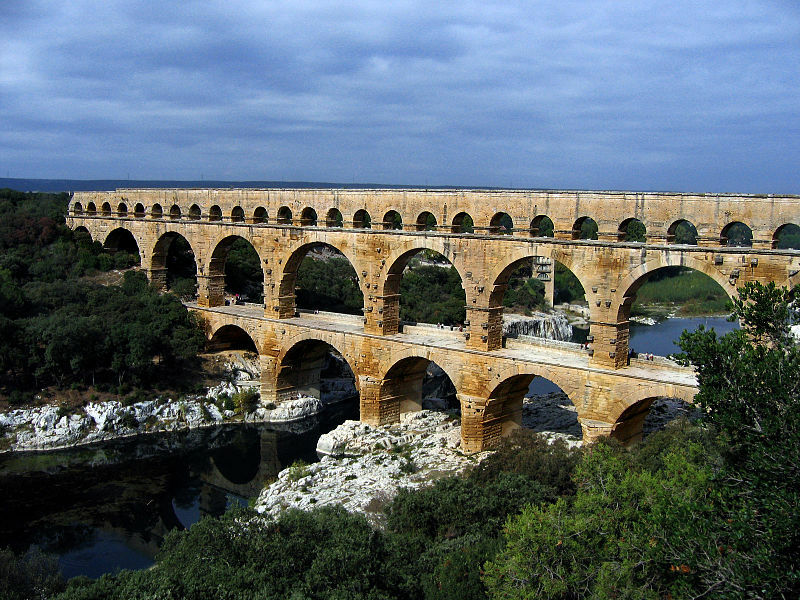 “Women in the Roman World.” Ancient History Encyclopedia. N.p., n.d. Web. 11 Apr. 2015. “Honors3.html.” Honors3.html. N.p., n.d. Web. 11 Apr. 2015. Couch, John A. “Woman in Early Roman Law.” Harvard Law Review 8.1 (1894): 39-50. Web. 11 Apr. 2015. Fortune favors the bold! (fortes, inquit, fortuna iuvat). Pliny the Younger wrote this now famous quote as Pliny the Elder commanded his ships to sail closer to the flaming Pompeii. Fortune was one of the more popular Roman goddesses, and her favor was sought by many. Fortune is the Roman goddess of luck and chance, creating Rome’s abundance and fertility, as well as the downfall of Rome’s enemies. According to “Personifications of Eudaimonia, Felicitas and Fortuna in Greek and Roman Art,” by Marina Prusac (2011), gaining the favor of the goddess of Fortune meant a good and happy life. Fortune was responsible for the many things that created a happy life; a fertile marriage brought a happy home and good health, prosperity of the State created wealth and a strong economy. She is always depicted with a cornucopia, the horn of plenty, but she was very fickle with her bounty. Fortune’s favor could make or break an Empire; enemies fell before her curses and allies grew strong under her blessings. Emperors claimed her acceptance when they rose to power and lamented her disapproval just before their fall from grace. Just as Galba had to invite Fortune in, he also had to make an error of sacrifices to lose her favor and therefore the prosperity of Rome. Fortune was a very jealous goddess. Galba mistakenly offered a necklace to the goddess Venus, an offering that was originally meant for Fortuna. “The next night Fortuna appeared to him in a dream, complaining of being robbed of the gift intended for her and threatening in her turn to take away what she had bestowed” (Hekster, 2009). Roman Emperors often minted coins with Fortune’s image to show favor with the Goddess of Abundance and Prosperity. Galba had fallen from grace, and would be killed shortly after. 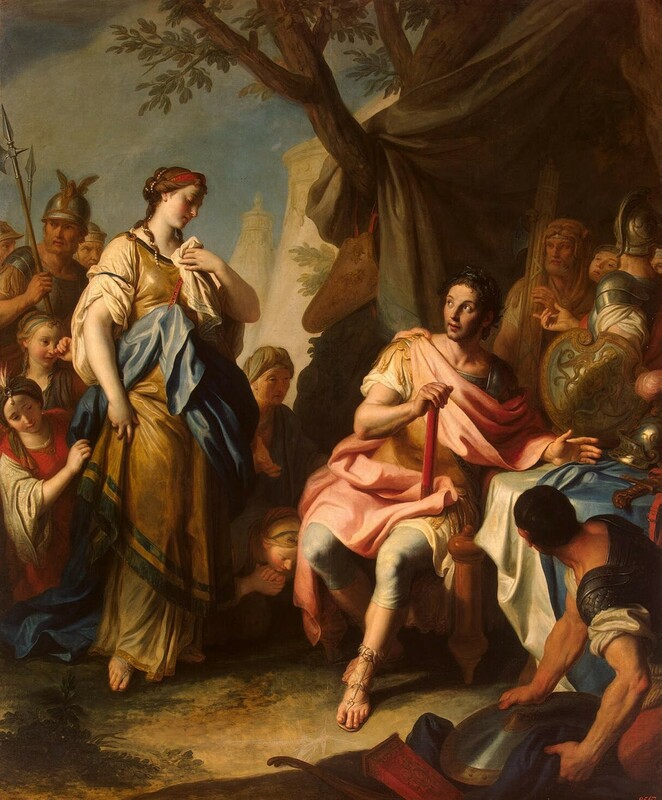 It was important for the Romans to show that the Goddess had not failed in protecting her favored one, but that, instead, Galba had fallen from her favor. Pliny the Elder shouted for Fortune’s favor on the waves towards Pompeii, but she did not oblige him. Instead, he died on those waves and, like Galba, fell in Fortune’s absence. Burke, Thomas. The Younger Pliny Reproved. Hekster. “Reversed Epiphanies: Roman Emperors Deserted by Gods.” Mnemosyne 63 (2009): 601-615. Prusac, Marina. “Personifications of Eudaimonia, Felicitas and Fortuna in Greek and Roman Art.” Symbolae Osloenses, no. 85 (2011): 74-94. Steffenheilfort. Deutsch: Fortuna 1855 – Halbrondell Neues Palais Sanssouci. Younger, Pliney the. Pliney the Younger. Translated by P.G. Walsh. New York: Oxford University Press, 2006.